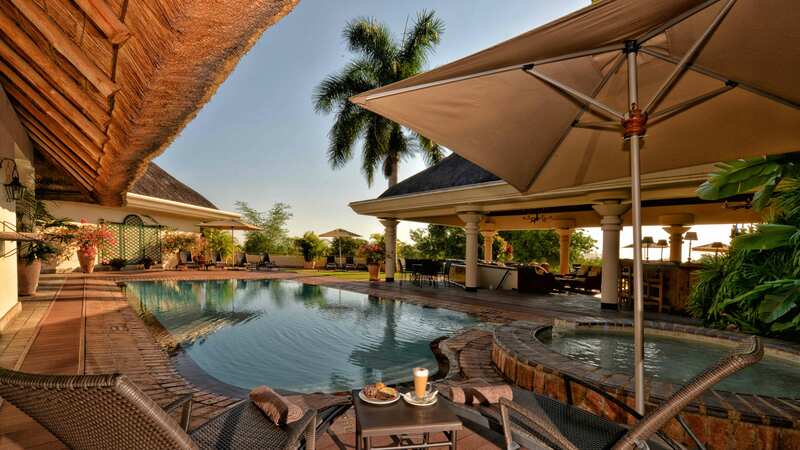 The lodge is located 25km from the Victoria Falls Airport. Travelling to and from the airport takes approximately 25 minutes by road. 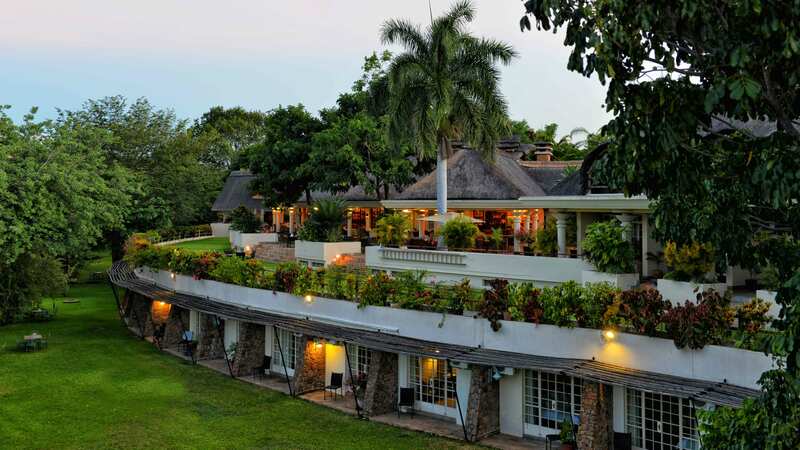 Ilala Lodge is the closest hotel to the Victoria Falls and it’s literally on the edge. The Mosi-oa-Tunya can be seen and heard and it’s something to behold. Victoria Falls is considered as one of the official seven natural wonders of the world. The majestic appearance of the falls will dazzle and amaze and you won’t be disappointed. 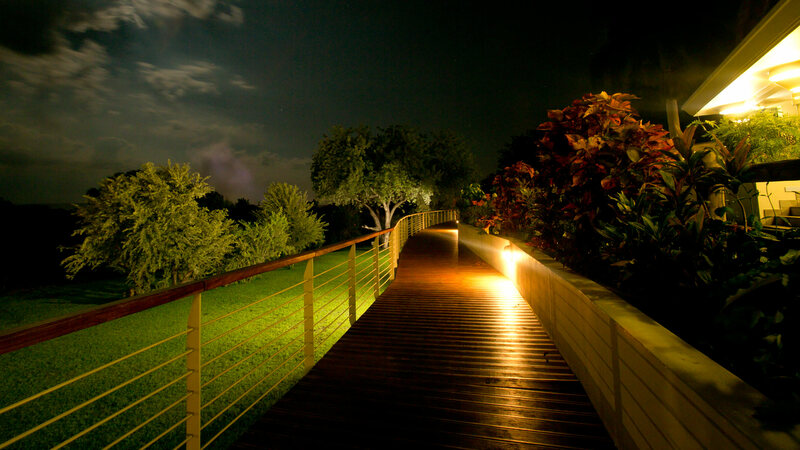 Ilala Lodge is the perfect accommodation for anyone wanting to get close to the falls and spend their time in a luxury retreat. The Lodge offers upmarket accommodation in a gracious and secluded ambiance and the decor evokes a feeling of adventure and romance. The hotel grounds are secluded and well maintained. It borders the Zambezi National Park and one can often see warthog and other wild animals grazing on the lawn. On arrival in the vibrant reception area you are welcomed with a refreshment and made to feel welcome in this small and personal lodge. Ilala Lodge offers 30 standard rooms and 2 standard suites in the existing wing; 22 deluxe rooms and 2 deluxe suites in the new wing. The rooms contain en-suite bathrooms and separate showers, as well as satellite TV, a phone, an overhead fan, air-conditioning and tea and coffee making facilities. There is also an electronic safe in each. Each of the older standard rooms is adequately sized with enough space to store a decent amount of luggage and still be able to move around the room freely. The Palm Restaurant is a fine establishment serving the most mouthwatering meals on the side of the Zambezi. A piano player entertains guests and the atmosphere with the sound of the mighty Victoria Falls in the background is lovely. Enjoy white-water rafting on the Zambezi River, tranquil boat cruises downstream, or microlight flights to see the top of the Falls. Stand on the renowned Victoria Falls Bridge and admire the view and be awed, or take the plunge with a thrilling bungee jump. The national park borders the front of the lodge’s property, and animals are frequently seen grazing on the lawns. Great location close to the Falls and walking distance to town centre.